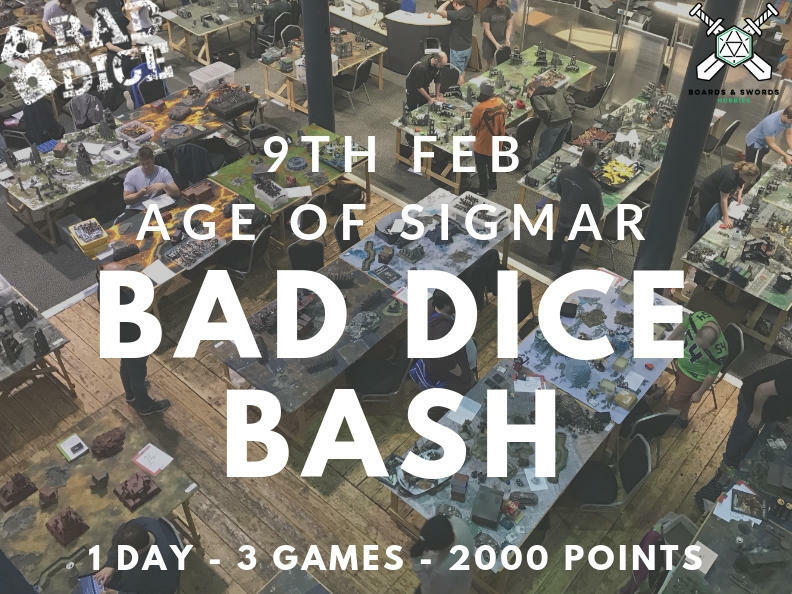 The Bad Dice Bash is our monthly Age of Sigmar event, Saturday Feb 9th 2019. 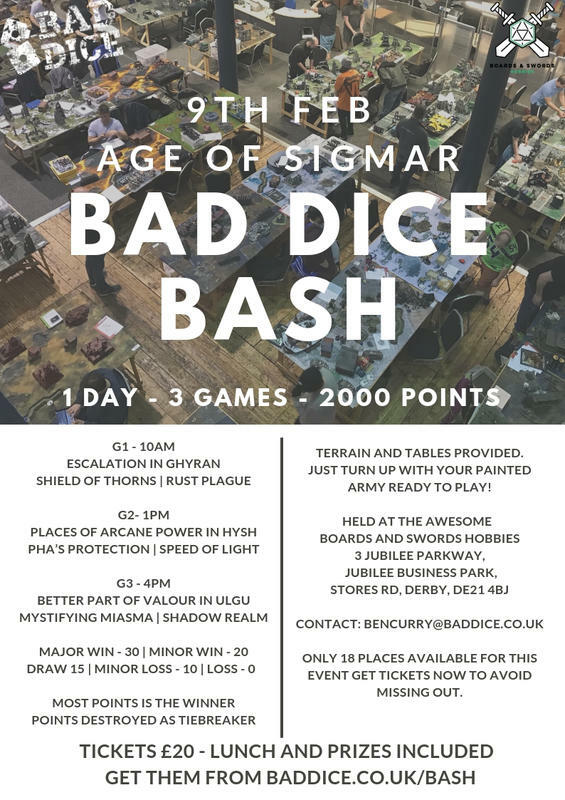 Terrain and Tables provided, Just turn up with your painted army ready to play. Lunch included in ticket price, trophies and prizes to be won. The winner is the player finishing the event on the most tournament points.  Ties are decided by the person with the most viceroy points destroyed during the event.